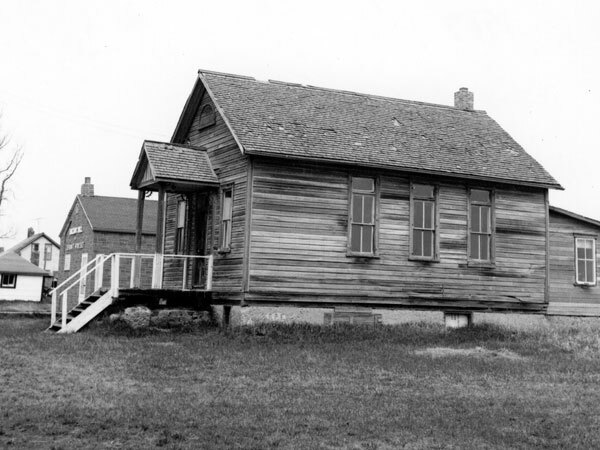 The Harburn School District was established in October 1904 and a one-room schoolhouse operated at SE14-12-16W in what is now the Municipality of North Cypress-Langford. Some of the teachers who worked at the school were Miss Donkin, Miss Patterson, Miss Cullum, and Jessie Rogers. In May 1915, the district was dissolved and the area became part of the Brookdale Consolidated School District No. 1299. The former school building was moved to the village of Ingelow in 1917 where it was used for many years as a community hall. Its contents were sold at auction in 1978 and the building was demolished. Source: Archives of Manitoba, Architectural Survey, Cardale.